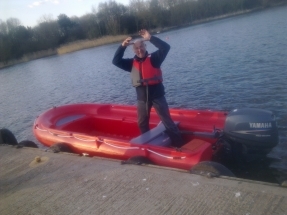 What does it take to be a volunteer with Telford Sailability? 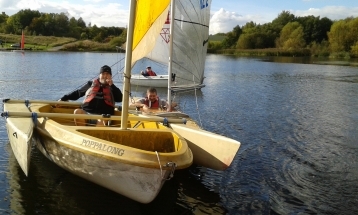 What would you get out of helping Telford Sailability? Hi my name is Brian. I have been with Telford Sailability since it started in 2011. 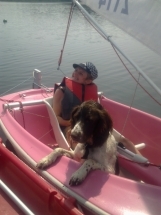 My Mother was disabled and would have loved to have been given the chance to come sailing. I help getting the dinghies out, rigging them, sailing and putting the dinghies away again. I like telling people what I do. Paul is teaching me how to sail. Hi my name is John, I’m ex-navy. Retired for a number of years and thought my sailing days were over. I sail now twice a week when I can, through the summer months but also like being down the lake meeting others. I am the treasurer on the committee. Hi I am Diane, Brian’s wife. I have been coming for nearly as long as Brian. I help getting the dinghies ready, meeting and greeting our sailors and helping them with the lifejackets and waterproofs. I have never been sailing or on the water because I do not want to. I love seeing the smile on our sailors faces when they come off the water. Hi my name is Nancy. My favourite thing (after eating other people’s lunch) is to go very fast in the safety boat. My dad laughs at my ears flapping in the wind but I don’t care! I love it when the sailing boats need towing away from the bank because it gives me an excuse to pretend to be a figurehead. I love to fetch sticks out of the water if people are kind enough to throw them for me. Hi, my name is Hamish. I love to welcome the sailors when they come down to the lake. I get lots of cuddles and tummy tickles. I like to go in the sailing boats if I am invited but most people seem to like sailing on their own – I can’t think why as I’m so affectionate when I’m soaking wet! My sister and I usually sit in our beds in the back of dad’s car until people are happy for us to be running about.